Micromax unveiled the A116 Canvas HD back in January, started selling the device through online retailer Snapdeal starting from February 14th. It has 5-inch (1280 x 720 pixels) HD IPS display. 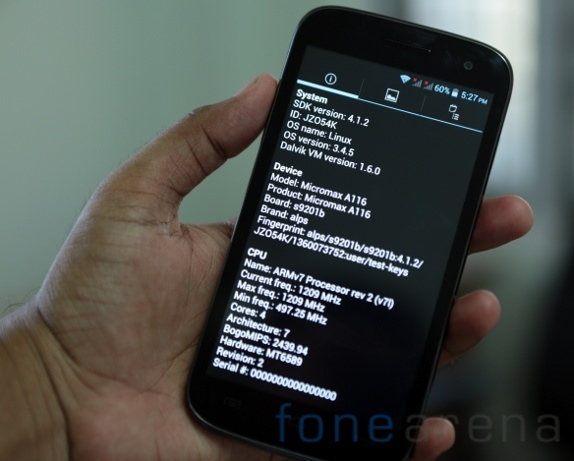 It is powered by a quad-core MediaTek MT6589 Cortex A7 CPU clocked at 1.2 GHz with PowerVR SGX544 GPU. This was the first phone to launch in India with the quad-core MediaTek processor. 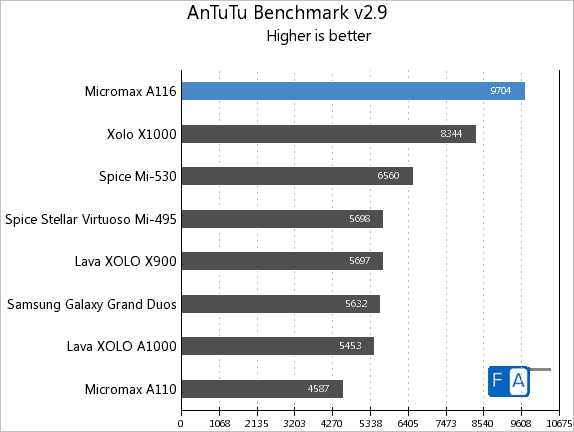 We reviewed the device last month, but we didn’t share complete benchmarks of the device back then. 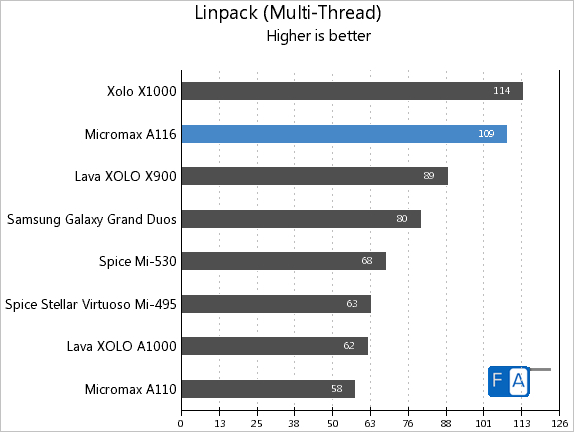 Here are the benchmark comparison with the other mid-range Android smartphones in the market . 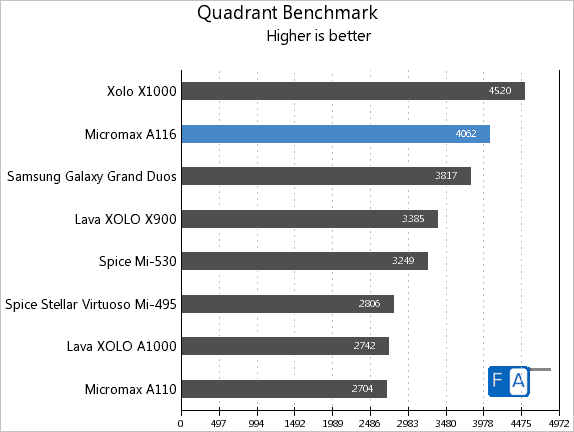 The Micromax A116 is right behind the Intel-powered Xolo X1000 in the Quadrant benchmark. 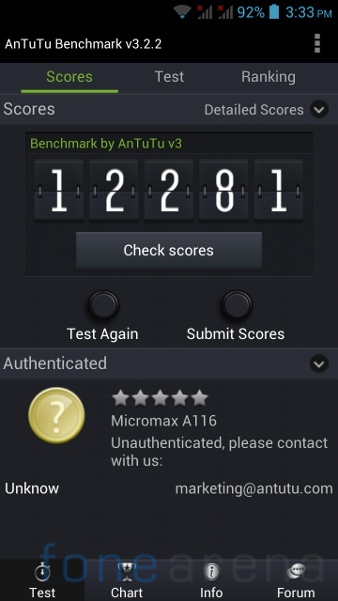 It beats the Xolo X1000 in the AnTuTu Benchmark 2.9. 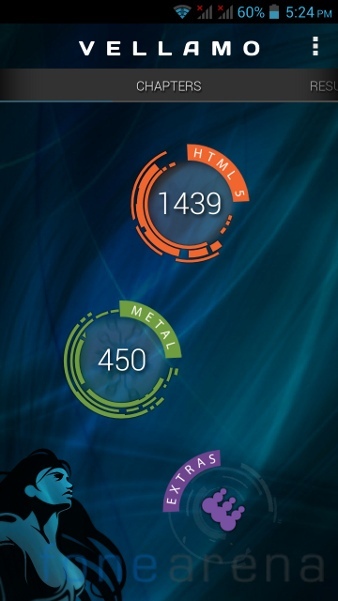 In the AnTuTu Benchmark version 3.2.2, the Canvas HD scores 12281 points. 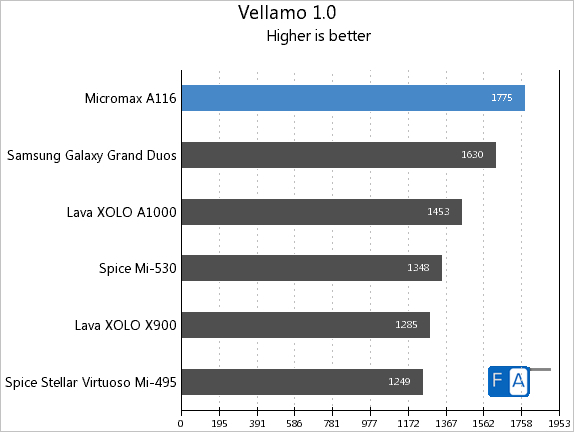 The Micromax A116 is again the top performer in the Vellamo 1.0 benchmark. It scores 1439 points in the HTML5 web browser test and 450 points in the metal CPU subsystem performance. The Samsung Galaxy Grand Duos scored 1589 points in the Vellamo 2.0 HTML test. 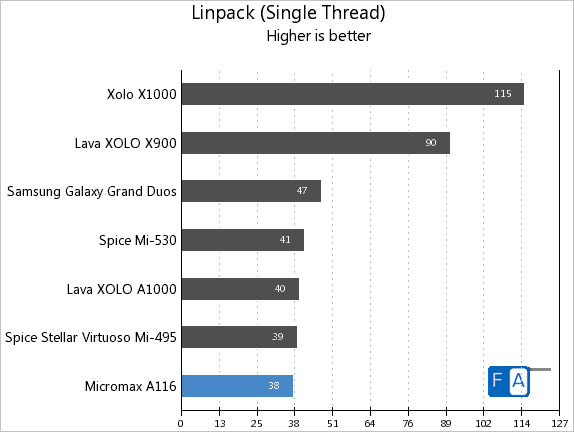 Even though the performance of the phone is bad in the Linpack’s single thread CPU score, the Micromax A116 scores 109 points and grabs the 2nd place in the Lipack multi-thread CPU benchmark. 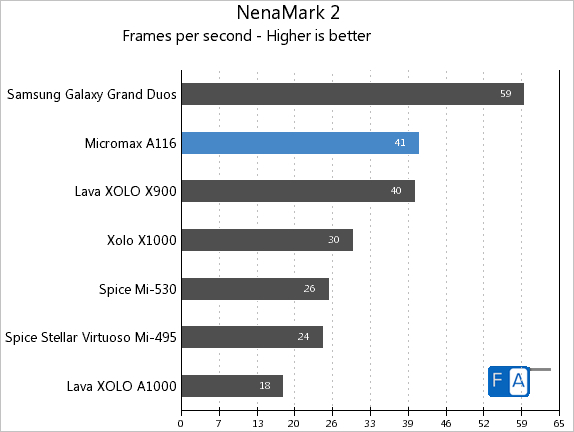 For a phone with 5-inch 720p display 41 fps is definitely a good score in the NenaMark 2 GPU test. 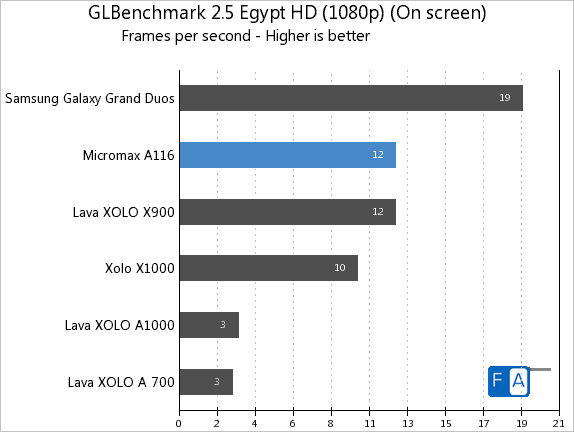 It managed to clock 12 fps in the GLBenchmark Egypt. Check out the complete review of the Micromax A116 Canvas HD.